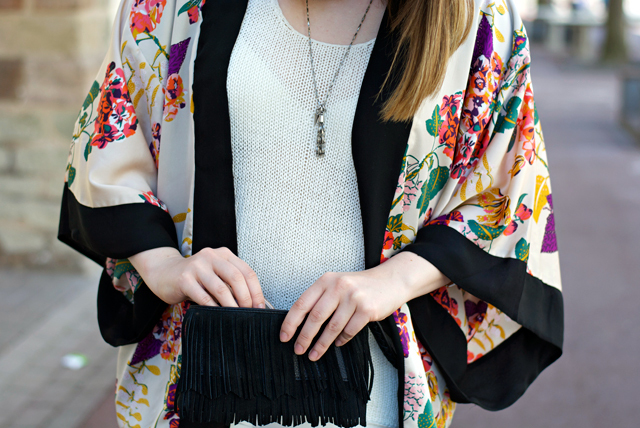 Love the kimono and fringe clutch. Nice outfit!! 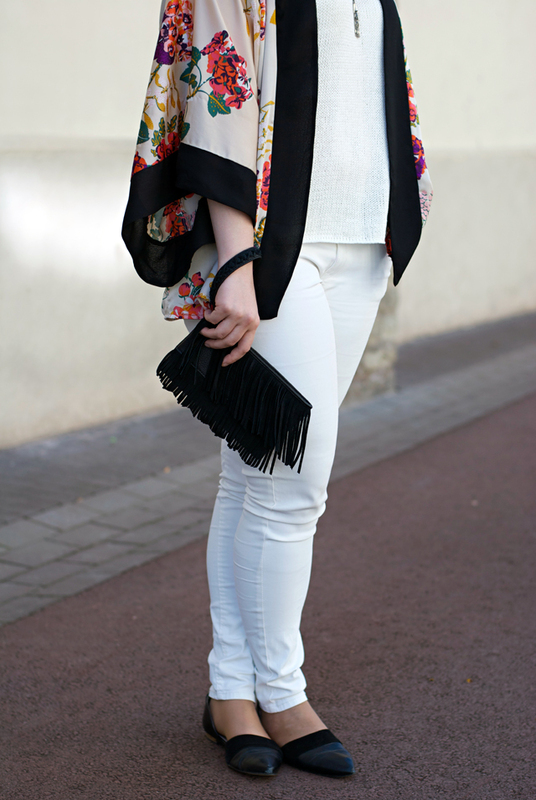 Ooo.. love the all white and yet the texture from your sweater is a nice slight variation through the whole look! 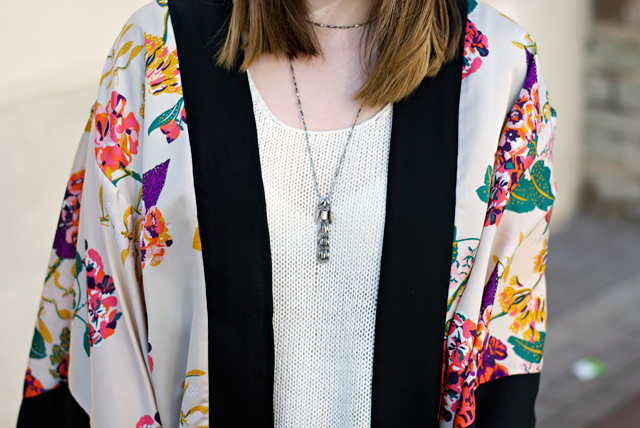 Love the kimono piece, I've yet to buy any kimono like pieces but they really are so pretty and I like the fact that their lightweight and don't take up much space! Great for warmer weather too! Perfect kimono beauty and I really love your flats.